The combination of classic silhouettes with contemporary colours, fabrics and styling makes for some striking, eclectic and ultra lush threads. Not to mention very cool as well. London-based shop and online store Elias & Grace have achieved this tricky mixture with their brand new label Miller. 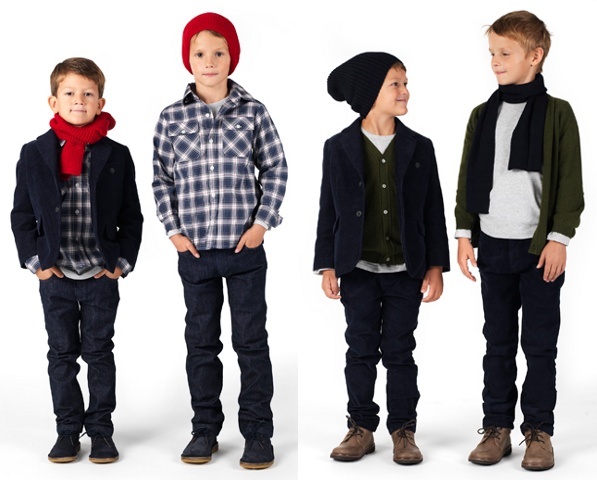 Autumn/winter 2010 hailed the very first collection for boys, girls and babies and I think it’s a resounding success. The subtlety and sophistication of the designs is evident yet the clothing is completely wearable and suitable for all occasions. One of my personal fave items is the ‘Mila Kokia‘ dress (pictured top left). It embodies what every parent wants from a piece of clothing: truly versatile (dress up or down), trans-seasonal and timeless. This dress will never go out of fashion. And the Miller collection is full to the brim of dresses, denim pants, cotton shirts and stunning coats that fit that bill to perfection. I’m simply in raptures over the Pepe boots and shoes pictured. If you want them for your little girl or boy as much as I do, they’re also available from Elias & Grace. As it’s summer here now, don’t forget to have a look at Miller’s resort collection (pictured below) for some beautiful warm weather essentials. Miller’s sizes are from newborn to ten years, with prices in pounds and ranging according to item, plus postage to Australia.